Last week Ferry Shipping News paid a visit to Athens and despite being extremely busy, the CEO of Attica Group Mr Spiros Paschalis (photo) made time early in the morning to give us an update on the developments of Attica Group. Attica’s Management Team was heavily engaged in concluding the second part of Hellenic Seaways acquisition through purchasing 48,53% shares owned by Grimaldi Group and its subsidiary Minoan Lines. The transaction was concluded this week. Attica’s acquisition of the 98,83% of the shares of Hellenic Seaways, will give the critical size needed to successfully be positioned amongst the leading European Ferry Operators. Attica Group’s revenue for 2017 was 271,54 MEUR and Hellenic Seaways’ 128,94 MEUR. Operational works for the summer period are ongoing, whilst also preparing for the functional integration of Hellenic Seaways into Attica’s Organization. The Attica Group Offices are currently at two locations, in Athens and Piraeus. All synergies are being evaluated and a lot can be achieved by looking at the organisation, the operations, the systems etc. The big question is whether Hellenic Seaways will be kept as a separate brand or not. “Indeed, Hellenic Seaways will be another Attica’s brand, together with Superfast Ferries, Blue Star Ferries and Africa Morocco Link,” confirms Mr Paschalis. As for Attica’s future, growth can be expected. It will be achieved by reinforcing its presence in markets it currently operates whilst always available to pursue new business opportunities in other geographical regions or other related industries. We then went on to discuss the summer and year expectations. Attica’s passenger forward bookings look promising both in the Aegean and in the Adriatic Sea. These figures are a result of Athens becoming an attractive destination together with the growing popularity of the Greek islands, with one of the ways to visit them is travelling with ferries. The freight figures are also improving. 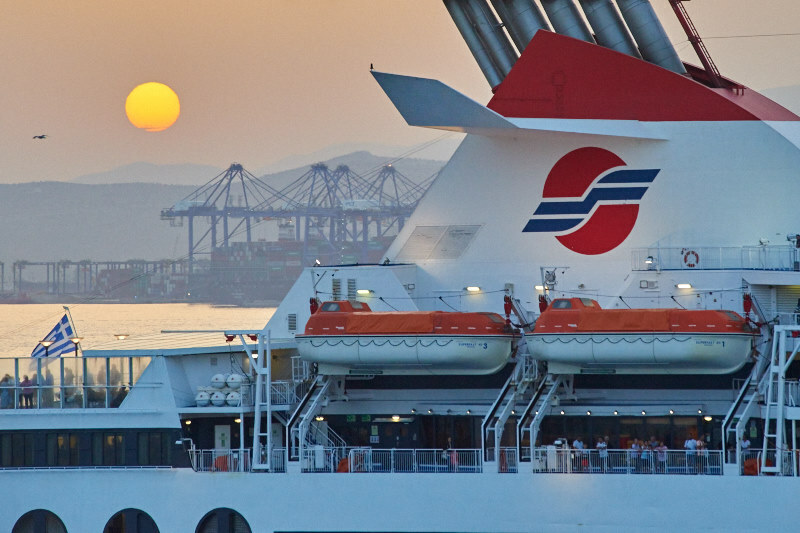 Africa Morocco Links (AML), one of the brands of Attica Group, serving the Tangier Med – Algeciras route with one vessel, the ferry MOROCCO STAR, has just engaged a second, chartered vessel, to enforce the existing service and facilitate the summer passenger demand. Concluding, one must not forget the increase of fuel prices. It affects all ferry operators and is one of the most important challenges.